How exactly these huge amounts of magma are created (and why they erupt so violently) has been a cause of debate between scientists for a long time. It has been known that volcanoes erupt because of density and pressure, and generally it is a way that Earth can release excess heat and pressure. Still, the precise trigger has remained a mystery. A group of researchers at Uppsala University and their international colleagues may have found some answers lying in millimeter-sized crystals called quartz crystals embedded in the volcanic ash and rock. Quartz crystals grow in magma, and register chemical and thermodynamical changes before an eruption, which is similar to how tree rings record climate change, according to Dr David Budd, lead author of the study from the Department of Earth Sciences at Uppsala University. While studying the quartz from Toba, the researchers found that there was a difference in the composition and weight of the outer part of the crystals compared to the inside. Around the outside the crystals were heavier and contained a form of oxygen called 18O. On the inside, however, there was a lighter form called 16O. at when the magma melted, it took along with it a large volume of a nearby rock which contained the same ratio. 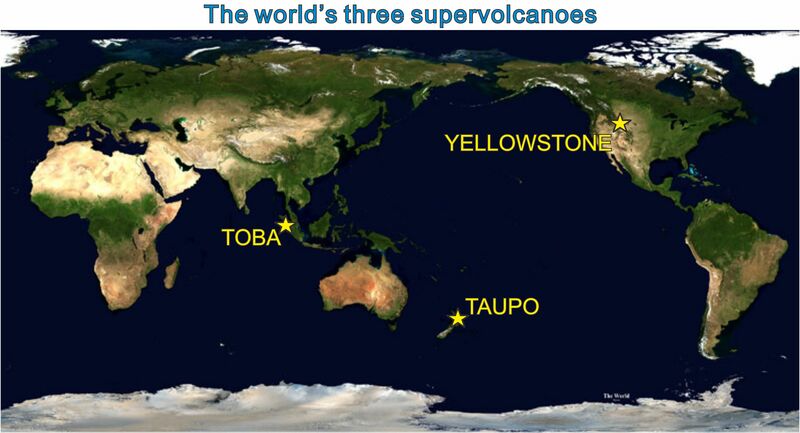 Luckily, supervolcanoes like these erupt very infrequently. Volcanic eruptions are measured by the Volcanic Explosivity Index (VEI,) with VEI 7 and VEI 8 eruptions being the most powerful. La Garita Caldera erupted approximately 27,800,000 years ago, and released 5,000 cubic kilometers of magma. Huckleberry Ridge in Yellowstone had a bulk ejection of 2,500 cubic kilometers about 2,100,000 years ago. Atana Ignimbrite in Chile erupted about 4,000,000 years ago, also ejecting 2,500 cubic kilometers. 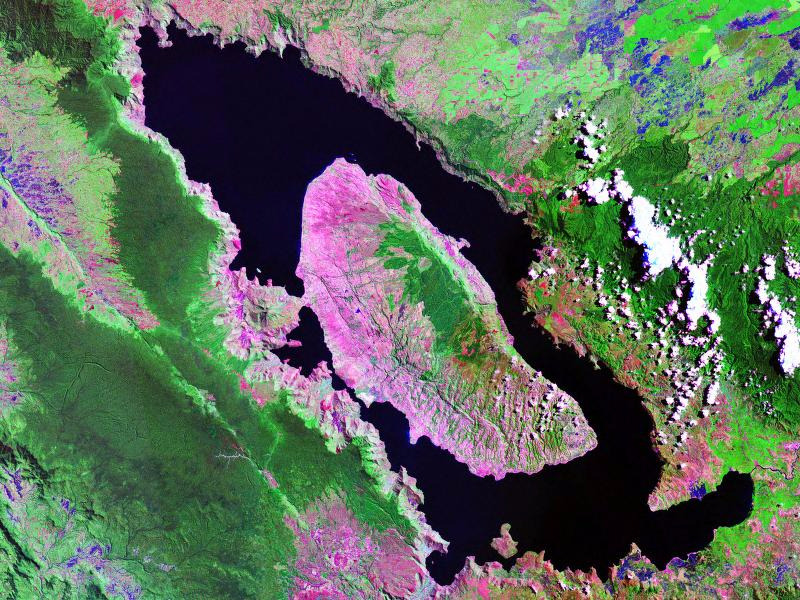 In 1815, the Tambora volcano on Sumbawa Island in Indonesia erupted in what is considered the largest ever eruption in recorded history. It was a VEI 7 on the VEI scale, but an estimated 100,000 people died from the effects, and it caused a global volcanic winter. Although famous, eruptions such as Mount Vesuvius (Pompeii in 79 AD) and Mount St. Helens in 1980 were very small in comparison to these supervolcanic ones. Researchers say that Toga’s eruption in particular was so colossal it came close to wiping out humanity entirely. 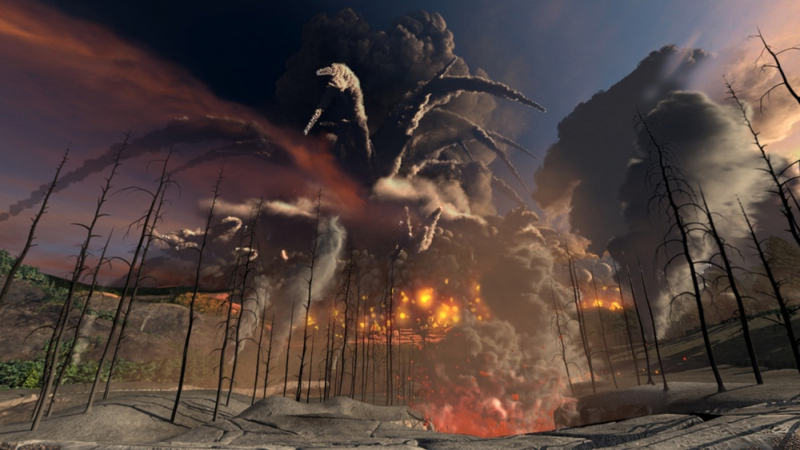 It’s a matter of when, not if, supervolcanoes erupt again. Here’s to hoping that we’re better prepared when the next one happens!